Posted May 9, 2017 by finnfemme & filed under Fashion, Vintage. 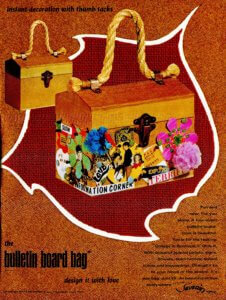 I ran across this unusual ad in the August 1970 issue of Seventeen magazine. 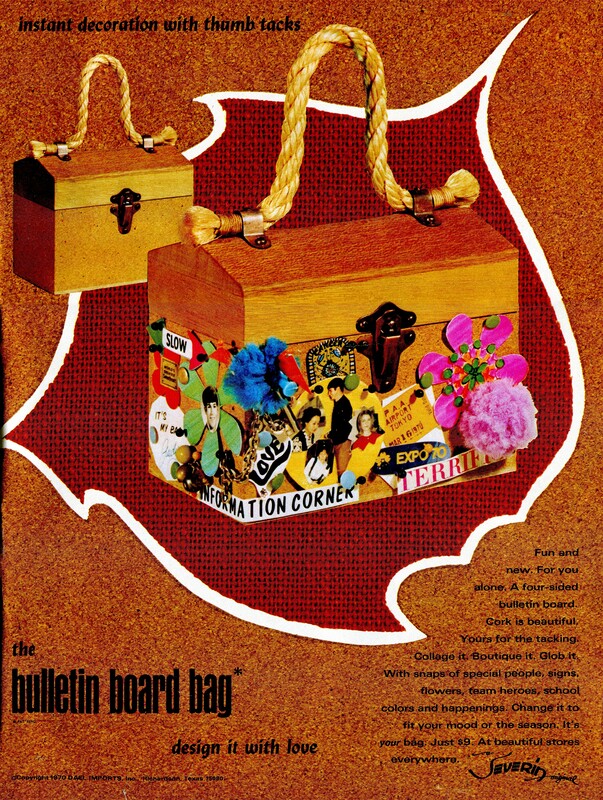 It advertised the Bulletin Board Bag – a $9 wood purse with rope handle – that had a four-sided cork bulletin board. 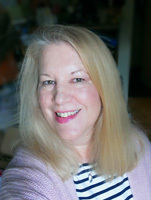 You could ‘design it with love’ by decorating it with snaps of special people, signs, flowers, team heroes, school colors and happenings. Change it to fit your mood or the season. It’s your bag. The first thing I thought of was that it was a 1970s tactile version of Pinterest! You had to physically put things on your ‘board’, and then carry it with you and share with your ‘followers’. You could change things around according to your whim. We didn’t have the internet or social media in the ’70s, but we had our ways to express our personal style.